With black Friday in full swing down south, it’s hard not to be thinking about holiday shopping. What better way to give than with a gift that keeps on giving by giving sustainably. Particularly if you’re looking to cut back this holiday season, kill two birds with one stone by also cutting back on your environmental footprint with affordable gift solutions from terra20. The 15,000 sq. ft. Jump-designed store, which opened this past September, is a one-stop-shop for everything eco-friendly – from fashions, cleaning products and toys for kids, to beauty loot, kitchenware and loads more. 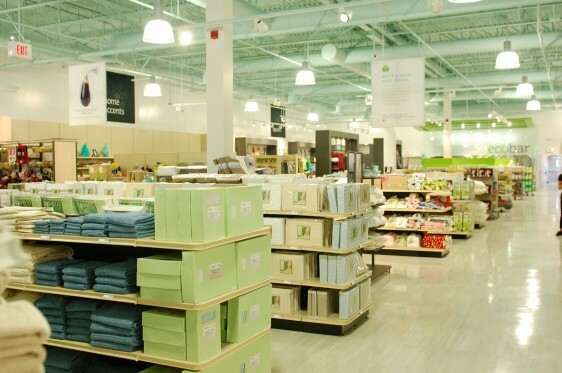 Their green treasure trove totals more than 12,000 sustainable products. Some of the coolest options are composed of recycled materials, bringing new meaning to holiday re-gifting. Check out the release from terra20 on some of their top holiday picks and explore how old can be made new again this season. Happy Shopping! FYI: If you’re not in Ottawa, a selection of these products will be available to purchase through terra20’s online store that launched earlier this month. Jump has a habit of giving the gift of sustainability, just have a look for yourself.